Medieval Garden Bracelet captures the geometric beauty of cloister gardens attached to a monastery or a cathedral. Medieval gardens usually had a fountain in the center, hedges along the walls with flowers and herbs planted in a geometric pattern. 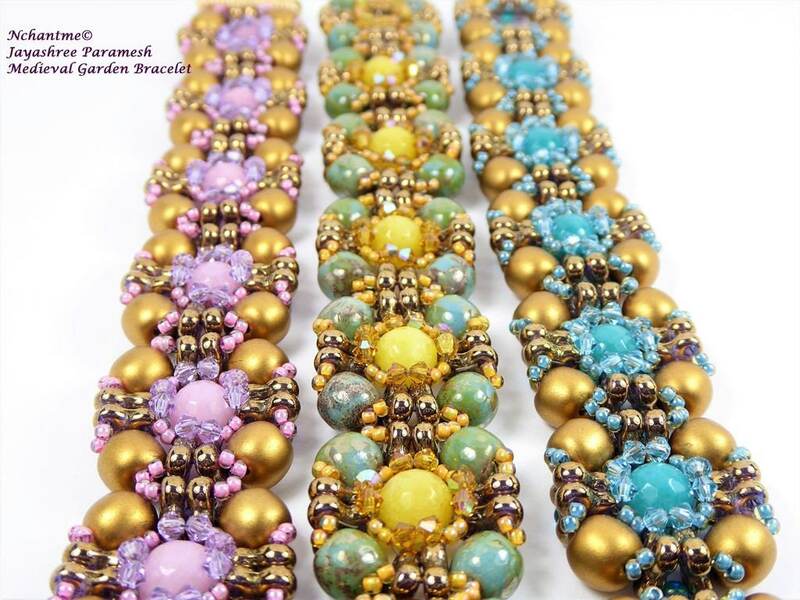 Czech glass beads in new shapes create a square motif not unlike the walkways on all sides and within it are colorful seed beads and crystals evocative of pretty flowers and shrubs. 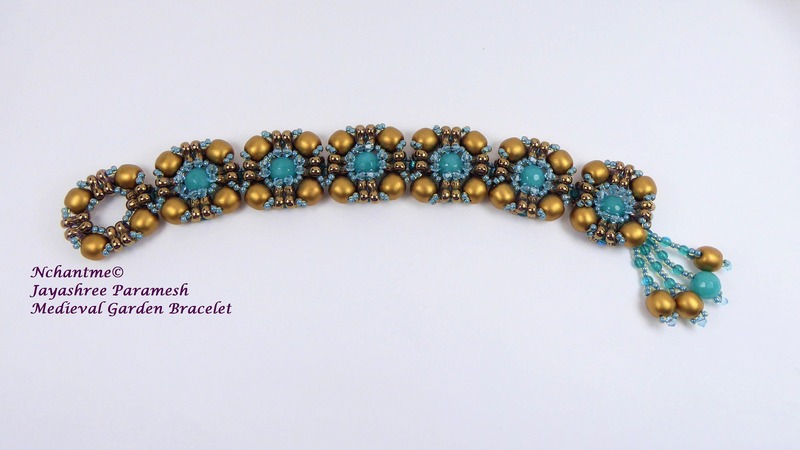 Whether day or night, this bracelet will be perfect for a walk with someone special or a night out with friends. 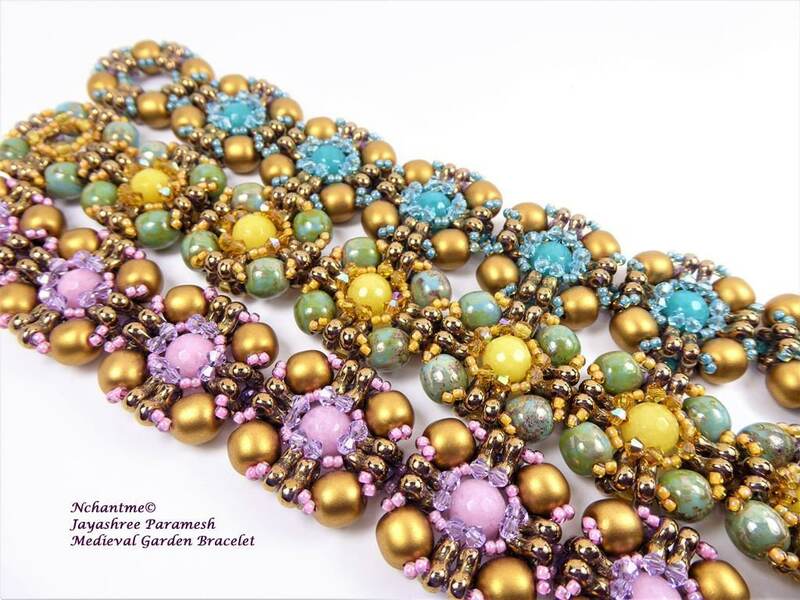 This beauty is yours to wear in just one afternoon of beading. Techniques: Square, Fringe and other stitches. Length: Fits 7“wrist, as shown. Adjustable for larger sizes. Suitable for Intermediate level beaders. Tutorial includes clear step-by-step instructions with 25 digital illustrations to make the process a breeze. 1. On Patterns, there will be NO REFUNDS. Please check the difficulty levels Beginner, Intermediate or Advanced before your purchase. A lot of effort has been put into writing the text as clearly as possible. The illustrations are top quality and in full color. All patterns are in English language. 2. On Kits, Beads and Supplies, there will be NO REFUNDS. Exchange is possible o a case by case basis. 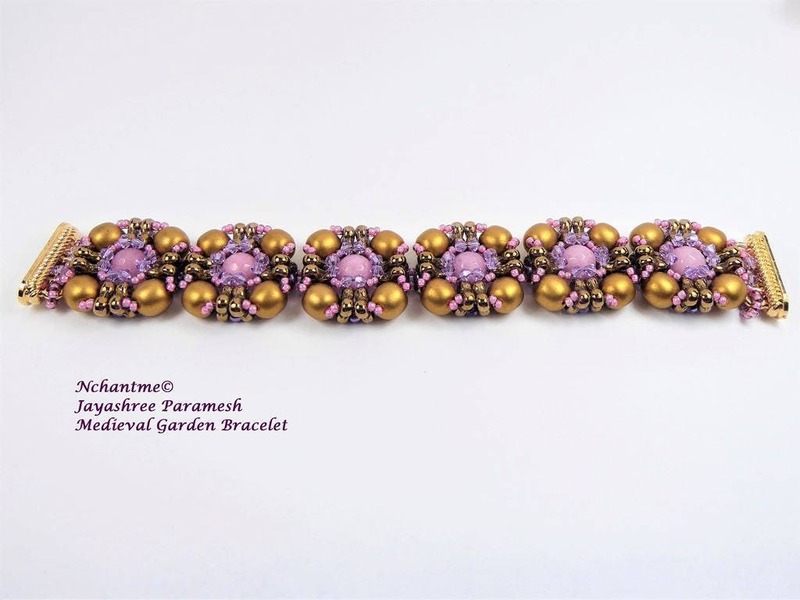 All content included on this site, such as text, beaded jewelry designs, graphics, logos, button icons and images, is the property of Nchantme, Nchantme.com or Jayashree Paramesh and protected by United States and international copyright laws. 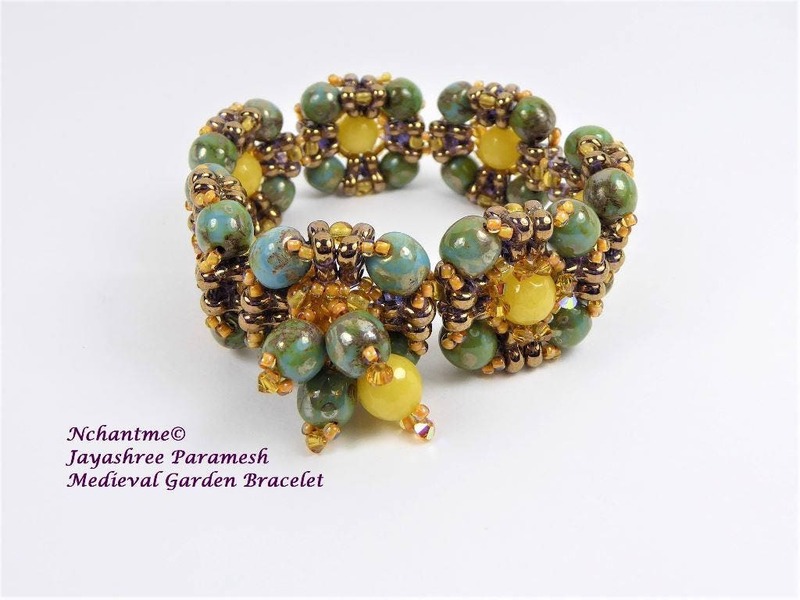 All beaded designs are original and created by Jayashree Paramesh. Terms and Agreements: No part of this design, tutorial, kit/ instructions may be reproduced, distributed or loaned in any manner or for any reason without the express permission of the author. The use of the design and instruction is limited to non-commercial use only.